Feels great to be back. Website, blog and twitter account are all healed. Lots of great lessons learned and relationships formed. So, the attacker, and we all have a pretty good idea who SHE is, didn't gain anything...in fact she probably lost out. Especially in the karmic department. 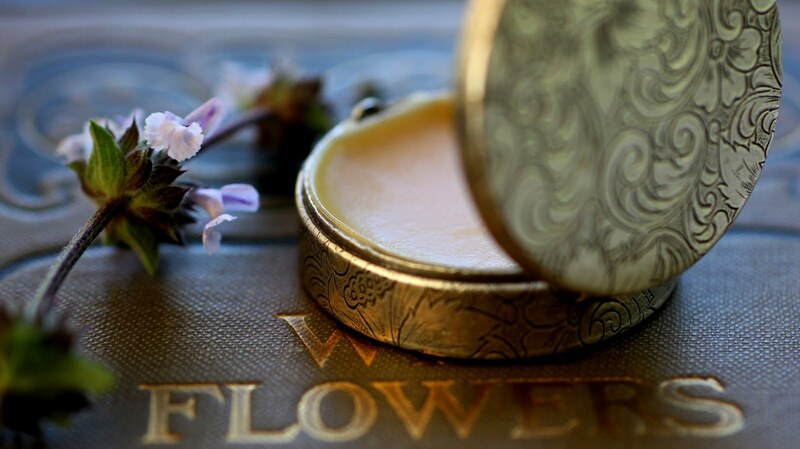 When I began my path in the Natural Perfume world I was pretty naive and trusting of people. Rather quickly the veils were lifted and I realized "this isn't Kansas anymore" and natural perfumers sure act differently from my fellow professional artist buddies. A fact that is reaffirmed every year at Comic Con in San Diego. Despite the animosity within this wacky field I choose to stay and focus on my contribution to this aromatic art. 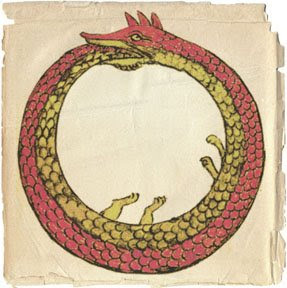 The image that graces this blog post is of the Ouroboros, an ancient symbol of a serpent consuming its tail. 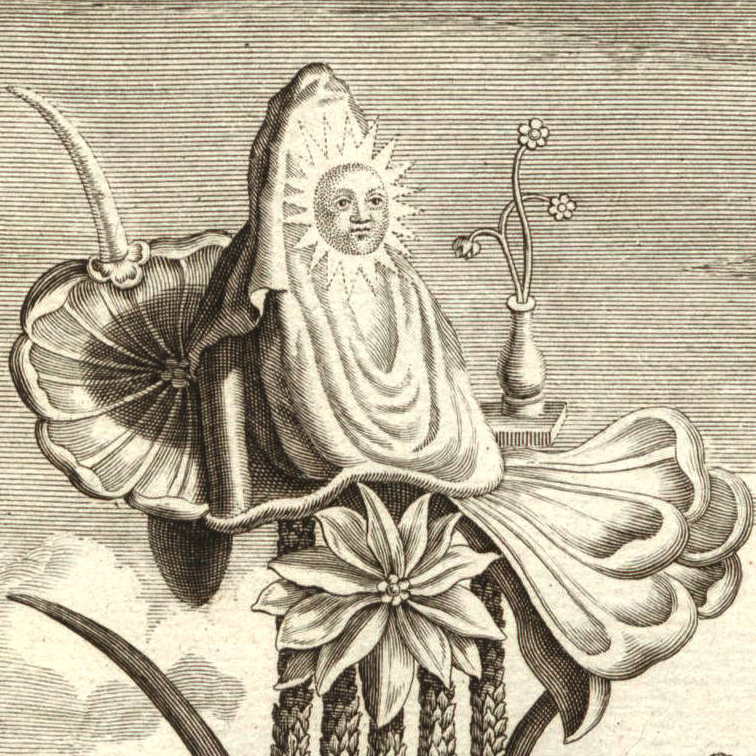 Circular in form, like alchemical processes, the snake kills and gives birth in the ongoing cycle. In the book Alchemy & Mysticism Libavius states that: "The Ouroboros is the symbol of the second fixing after putrefaction. "1 Okay good, glad the putrefaction phase is complete! Stay calm and centered in the eye of a storm. It does no good to get all twisted up, unless you can channel that energy into something else. Just a few hours after the incident I got some REALLY GOOD news, so I was able to focus on that. By shifting the energy of what was transpiring on the outside I was able to shift the energy within myself. Web hackers are really hard to pinpoint and track down. Even if you have an IP number, IP stands for Internet Protocol, a super clever hacker won't leave any traces by rerouting their IP number. Most likely the gal that attacked me, and several other perfumers, hired a web hacker in another country. Make sure you have a hosting provider that is willing to work with you with safety measures to protect your site. If you have a blog, create log in security features. My hosting provider sucked big time, they are completely useless and thus I've moved to a new one that will take responsibility if I am attacked. Back up your site and blog often so that if it does go down it can be put up again fairly easily and quickly. Change your passwords often and make sure they are STRONG. Install an SSL certificate to all essential sections of your website. If you have a shopping cart feature follow the security measures. If your website and blog are attacked and you have a twitter account, remove the links from your profile ASAP until the sites have been restored. 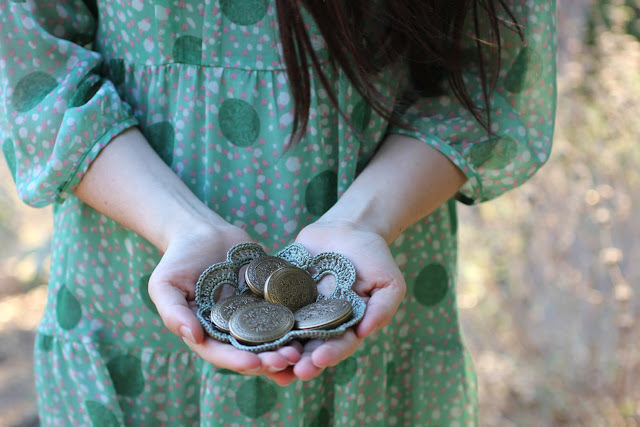 Having an alternate website where customers can shop, like Etsy, is a Godsend. They might be able to cripple your website for a small amount of time, but I doubt they'd be bale to take down a megalith like Etsy. Do you have more hints and suggestions? We'd all love to hear them. Other good news, while I was creating a treasury on Etsy the path of creative ideas opened and I was taken down the river of inspiration. Can't wait to share with you all. So glad to hear you didn't have too many problems after the hacking. It's sad that this is what people choose to do with their lives. Your outlook on this situation is very uplifting. My husband's mantra is "Attitude is everything"
I'm looking forward to the next giveaway here...hopefully starting tomorrow!